And we often have a smile on our face and a word of encouragement, because no one can explain their loneliness to others, especially when we are always in good company. But this loneliness exists and eats away at the best parts of us because we must use all our energy to appear happy, even though we will never be able to deceive ourselves. He is pointing out that loneliness plays a couple of functions in life, serving as a warning and as a respite. 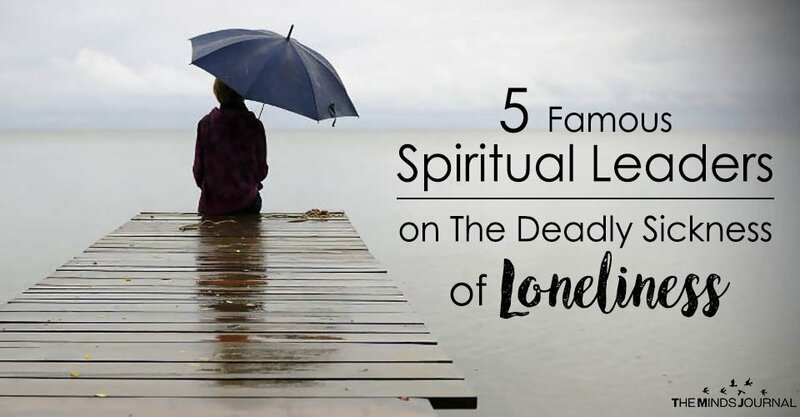 Eckhart Tolle, the author of the renowned book, The Power of Now, has spoken on the phenomenon of loneliness, offering this informative perspective on why loneliness is so pervasive today. There have never been more lonely people than now. Loneliness perhaps is a relatively recent phenomenon for humanity. In the past, one’s identity was very tribal, and if you were expelled from the tribe you would die. Not just physical, psychologically you would die. And then later on when there were not tribes and more, but social groups, those lonely outsiders very often were those through whom breakthroughs came into this world because they were forced to go deeper. Those who didn’t fit in for one reason or other, those who felt so lonely they were forced deeper into the vertical dimension, rather than seeking some kind of solution on the horizontal dimension, more relationships or whatever. So there’s the great opportunity in loneliness. Jamaican born spiritual leader Mooji asks the important question, ‘Can You Be Alone?‘ To understand and shift your relationship with loneliness he encourages you to first try to be completely alone, to fully feel what it is that is happening within your own soul.